If your business doesn’t warrant the use of warehouse documents, or if you have branch locations that don’t use them, Warehouse Insight will still work for you. 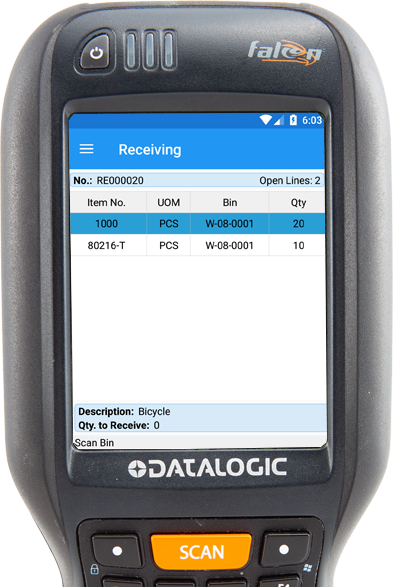 Warehouse Insight supports receiving to Purchase Orders, Transfer Orders, Sales Returns, and Warehouse Receipts. Warehouse Insight also supports shipping of Transfers, Sales Orders, and Warehouse Shipments in non-warehouse shipping and receiving.